Random Magazine has a long story. The first version went online in 2001 as a single webpage hosted by the art portal Exibart.com, but it soon grew into a bigger project. I used to post everyday a short article about Net Art, using the site as a public diary of my daily surfing sessions. In 2005 I decided to get Random a brand new web address and a real publishing platform. A lot of people started to contribute and the topics began to widen, including all forms of digital creativity (video, installations, music, games). In 2008 year I decided to take a rest, giving myself the time to think about the future of this project I love so much. In 2009, Random Magazine went back online, and it was very active until mid 2011. 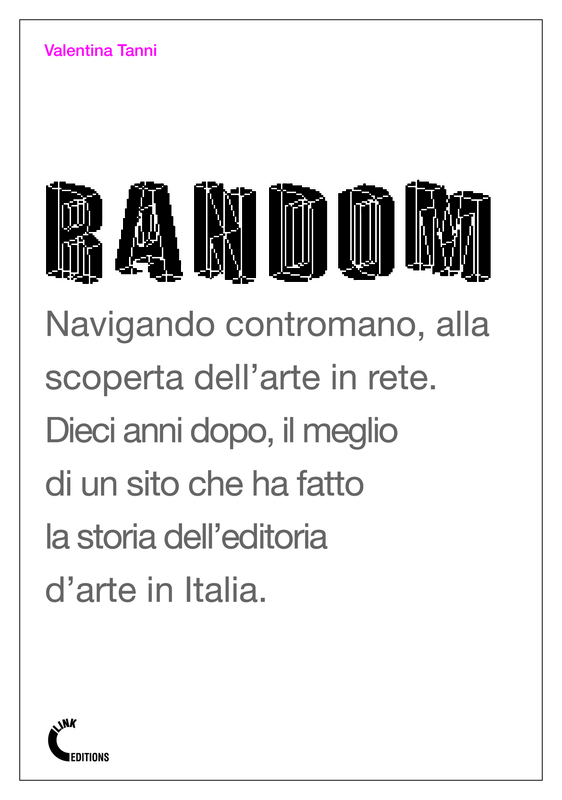 This year, after a ten year story, Random finally quits, but stays online with its entire archive. Also, you can download or buy our celebration book here. If you’re interested, you can take a look at my personal blog.